The A99B Series Temperature Sensors are passive PTC (Positive Temperature Coefficient) sensors. The A99B sensors are splashproof and are designed to measure temperature in a variety of refrigeration applications. Several accessories allow easy tailoring of the temperature sensor to various mounting configurations. 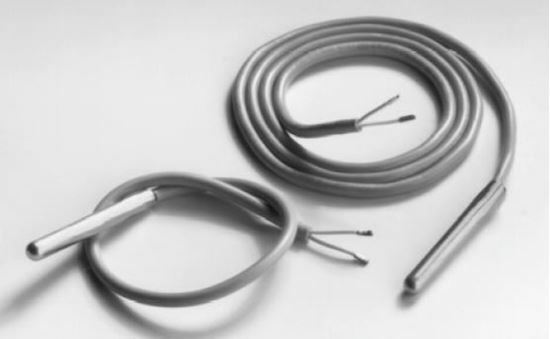 Applications include temperature sensing for freezers and coolers, as well as in defrost termination sensing, space and return air temperature sensing, and condenser fan cycling. Compatable with A419ABC-1C and other A419 digital temperature controls.